In this video Dr Andrew Wilson and Kevin Turner discuss the weekend’s auction results. 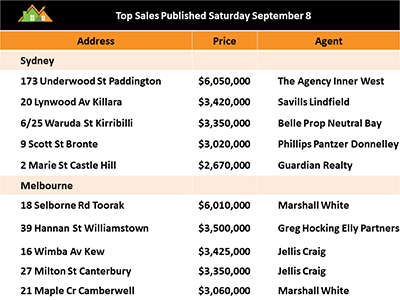 Melbourne was the big improver with auction numbers up over the weekend but the top sale came out of Sydney. 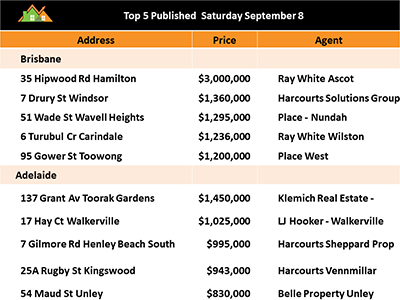 As you’ll see, when we take you through the top sales in each of the capital cities in this video, we could call it the weekend of the classics. Classic style homes unique to each market recording the sales in each capital city. Dr Andrew Wilson, Chief Economist from My Housing Market presents his weekend review exclusively for Real Estate Talk.